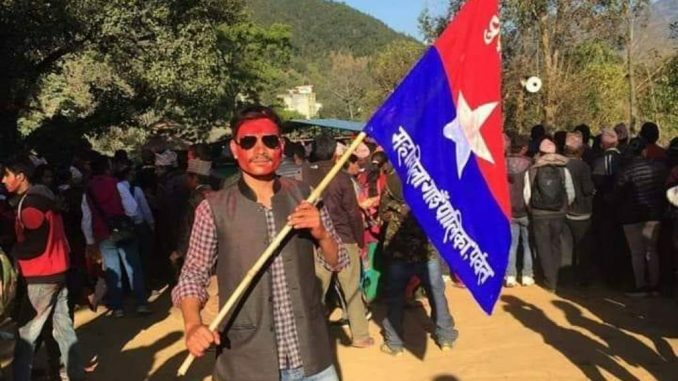 Pokhara—Youth Association Nepal Parbat member and youth leader Biraj Hamal condemned the padlocking incident in Mahashila Rural Municipality- 5 office. Issuing a press release on March 3, leader Hamal said that the padlocking by Nepali Congress in ward office in democratic system is very sad incident. He further added that the incident of government office locking without any solid demand is a defamation of people’s representative as well as a whole republic system. Leader Hamal also said that all the differences could resolve through table talks and mutual dialogues in any time. He further added that the incident reportedly carried out by NC is the violation of people’s rights in democracy. NC Mahashila was agitating accusing the rural municipality of bypassing the opposition party.